Welcome to Dunlap & Nesmith, experienced bankruptcy lawyers in Evansville, serving Southwest Indiana and Western Kentucky. Our law office focuses on personal bankruptcy in Evansville including Chapter 7 and Chapter 13 bankruptcy laws, creditors rights, debtors rights, collections, protection and negotiations, and civil litigation claims. If you are burdened by debt, it's important you know your rights. Our Evansville bankruptcy attorneys can help provide the resources and protection against harassing collectors, as well as offer our experience in deciding whether or not filing for bankruptcy is right for you. Through more than 40 years of combined legal experience, the husband and wife team of Dunlap & Nesmith have earned the confidence and trust of clients throughout Southwestern Indiana and Western Kentucky. Our clients receive individual attention from day one, and we personally handle their cases with a high level of professionalism and commitment, always striving for excellent results. While our Evansville bankruptcy law firm focuses our practice on consumer bankruptcy, collections, debtor and creditor rights, we also provide legal guidance to clients in a variety of civil litigation areas. Clients seek our assistance with matters involving family law and criminal defense as well. If you need an attorney experienced with an Evansville bankruptcy, please call us today at 877-823-1264 or contact us through our online email form with any questions you have. Serving clients in Indiana and Kentucky -------------------------------------------------------------------------------- - Southwestern Indiana counties: Vanderburgh, Warrick, Posey, Spencer, Perry, Gibson, Knox, Vigo, Sullivan, Greene, Clay, Martin, Dubois, and Pike - Western Kentucky counties: Henderson, Webster, Union, Daviess, Muhlenberg, Ohio, Crittenden, Hopkins, Christian, Todd, Marshall, Carlisle, Fulton, Trigg, Warren, Livingston, Ballard, Calloway, Hickman, McCracken, Lyon, Caldwell, Todd, Logan, Simpson, Allen, Hancock, Butler, Edmondson, and McLean -------------------------------------------------------------------------------- We are a debt relief agency. We help people file for bankruptcy relief under the Bankruptcy Code. Roberta S. Dunlap has practiced law since 1987, and currently devotes her practice to collections and creditors' rights. She provides legal services to clients in Indiana and Kentucky across a wide range of counties in both states. Roberta graduated from the University of Evansville with a B.M. 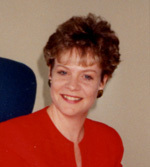 in 1978 and received her Juris Doctor from the University of Louisville in 1987. She was admitted to the Indiana Bar in 1987 and the Kentucky Bar in 1988. She has served as Chapter 7 Panel Trustee, Western District of Kentucky Bankruptcy Court since 2000 and has done presentations and seminars to local credit groups on the topics of collections and creditors' rights. Musicians Club of Evansville; and Public Library Friends, Inc. Discuss your legal concerns during a free consultation to see how we can help. Call 812-402-9970 or contact us online today.